Filippo Maria Visconti was the duke of Milan from 1412 to 1447. Gian Galeazzo Sforza, also known as Giovan Galeazzo Sforza, was the sixth Duke of Milan. 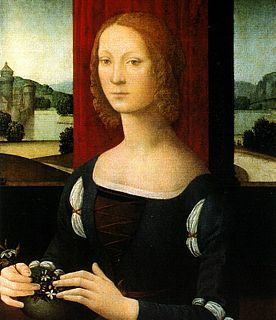 Francesco (Cicco) Simonetta was an Italian Renaissance statesman. He also is remembered for composing an early treatise on cryptography. Roberto Sanseverino d'Aragona was an Italian condottiero, count of Colorno from 1458 to 1477 and count of Caiazzo from 1460 until his death.